Just as Wonka rewards Charlie for his trust, audiences who buy tickets to the show will find a sweet surprise in the excellent performances of the cast and enthralling set design. Noah Weisberg, who plays Wonka, is thrilling from beginning to end, even if this Wonka may differ from past depictions, especially the 1971 film starring Gene Wilder. Wilder’s portrayal of Wonka remains iconic, and even Johnny Depp’s turn as the famous chocolatier is an afterthought, so Weisberg was smart to play Wonka with whimsy and impishness instead of the anger and judgmental vindictiveness of the movie. Though this kinder Wonka doesn’t utter the iconic line “You get nothing! You lose! Good day, sir,” it’s a small price to pay for a great two-and-a-half hours. On the Pantages stage, the production also removes many of the false starts and twists Charlie experiences in other renditions. Instead, “Charlie and the Chocolate Factory” relies on the chemistry of Weisberg and Charlie (played on opening night by Rueby Wood), to keep the audience enthralled, a gamble that pays off. Wood ably portrays the pure-of-heart Charlie with a sense of wonder and sells the audience on his passion for candy. Though the show loses some momentum near the start of the second act, “Charlie” picks the pace back up quickly. The whole crowd was back on board by the time the Oompa Loompas appear in a series of highlights that shouldn’t be missed. Overall, the Pantages production is an entertaining rendition of a well-known plot. “Charlie” makes enough changes and adds enough spectacle to make a trip to the theater worth the price of admission, even for those who’ve seen the movies or read the book countless times. The Hollywood Pantages Theatre is located at 6233 Hollywood Blvd. 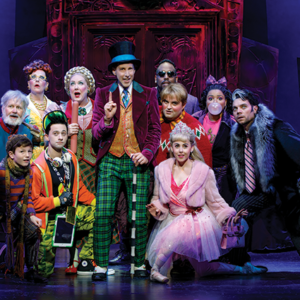 For information and tickets, visit hollywoodpantages.com/events/detail/charlieandthechocolatefactory.